What's right and wrong with Standardised tests? Standardised testing is a hot topic amongst teachers. Why? Because teachers know that tests only offer one measure of ability and progress. They also know that they can be helpful by informing teachers and parents about student performance and aiding good instruction. But they can also be misleading and can be used to unfairly label children, teachers and schools. Standardised tests can also lead to some unfortunate practices, the most problematic being the practice of teaching to the test. Parent groups, business leaders and politicians often see tests as a magic bullet, ensuring that their children are taught well and that they make good progress. They also see this as an accountability issue and see the resistance of teachers to testing as an indication that they don't want to be accountable. It is right for parents, business and the wider community to want schools to be accountable, but standardised tests are just one tool for achieving this outcome. 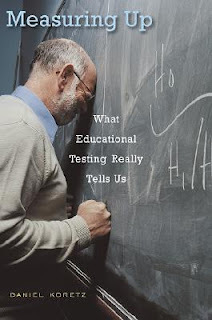 Harvard University professor Daniel Koretz has just published a new book on testing. 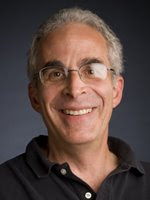 Koretz's book, Measuring Up was published recently by Harvard University Press. There have been some interesting reviews of the book as well as a couple of good interviews with the author which are helpful. I intend to read the Koretz book and will do another post on this topic but Anthony Cody offers some insights into some of the significant points that Koretz makes. Cody spent 18 years as a science teacher in inner-city Oakland, California. He now works with a team of experienced science teacher-coaches who support the many novice teachers in his school district. You can read Cody's post here. You can also read an interview with Koretz on the Harvard University website here. Why a post on comprehension? First, because there is no more important literacy topic than helping children to understand and interpret what they read, view, hear and experience. Second, because this is one area of literacy that it is so badly supported by many teachers and parents. Third, because it has been a topic neglected by researchers and teacher educators in recent years. I may do a series of posts but first a simple introduction. Comprehension is the ability to understand, interpret, appreciate and critique written and spoken language, images and film. Traditionally, the term comprehension was used primarily to describe the ability to understand written and spoken language, but in recent times teachers and researchers have increasingly stressed the need to include new media as we move towards more digital and visual communication in our world. Some have even argued that the written word is no longer as important as it once was. I don’t agree with this view (see my post here on "Writing, communication and technology"), but I do believe that we have a responsibility to help children learn to comprehend more than just the written word. Unfortunately, in the debate about new ways to create meaning and communicate, terms like comprehension have been neglected. Comprehension is an important term because it recognizes that the authors of texts, and hence the texts themselves, have intent and purpose. They are not just words that we use to construct anything we want. This seems self evident when we talk about comprehending a timetable or a set of IKEA instructions, but even novels and poetry have been written by authors with purposes, audiences and contexts that have shaped their texts. 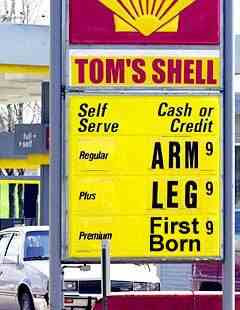 We could say the same of images and film. As we move from factual to poetic forms, or from instructions to art, there is a greater sense of openness to interpretation, but nonetheless, every text, image, film etc has been created with an intended meaning and purpose. To assume otherwise is the folly of extreme relativism, where the relativist assumes that one thing (e.g. meaning of a poem, values, beauty of art, knowledge of something) is relative to one's particular framework or standpoint. In its most extreme form, there is no truth; no single intended meaning, no true judgment of quality and worth and so on. The relativist would claim that the meaning of a text depends on what one brings to it. They would claim the same of images (art, advertising, cartoons etc), recorded words and sounds, music, video images and multimodal texts that we see increasingly in our world, especially when using the Internet. I think the term comprehension still has great relevance because it is a reminder that as readers, viewers and web surfers we need to be able to understand, interpret, appreciate and critique what we read, view, hear and even experience. There is much that parents and preschool teachers can do to encourage children’s comprehension. Here are 9 simple tips. Read regularly (at least daily) to your children and talk about the things that you read. Try to read the book with emotion, with invented sound effects, with different voices for characters and the narrator, changes in voice volume and tone - much meaning is communicated this way. Encourage them to relate ideas, language and knowledge that a book introduces to other areas of learning or life – “You’ve got a teddy too”, “His puppy is like Darren’s puppy”, “We saw an elephant like this one at the zoo”. Encourage them to draw, sing, talk about, act out, make things, dress up and so on, in response to the things that you read to them or they read themselves. Encourage them to make connections between the things they read, view and experience – “This story is like in Shaun the Sheep when he…..”. Read varied books – different story types, factual books as well as fiction, poetry and prose, different forms of illustrations and so on. Watch TV shows, videos and movies with your children and talk about them, explain things, try to make connections with stories they have read, encourage response with art, drawing, play dough, puppets, dressing up, acting out and so on. Simple strategies like the above actually encourage comprehension by teaching children about language, texts and the purposes of such texts. An English colleague of mine Margaret Meek (Meek, 1987) puts it this way – “Texts teach what readers learn”. She argues that children learn a great deal about written language and how texts work as part of the experience of using written language, and in particular, “by becoming involved in what they read”. 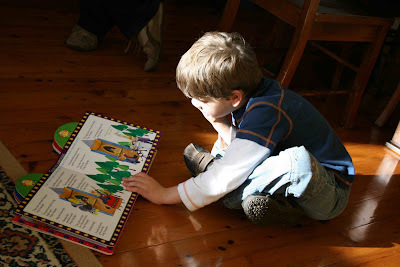 Meek argues that children’s early experiences of reading and being read literature can teach them many things. 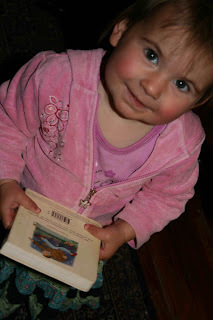 Interaction with adults as they encounter books is vital to this early learning. Meek recognises that one of the most powerful parts of the early experiences of literature for the very young is the interaction that takes place between an adult and child as part of the reading of a text (the earlier post that I did on 'Guiding Children's Learning' is of relevance here too). Many things about language, discourse and the world are learned as children engage with books, videos, music etc. They can learn simple things like vocabulary and gain knowledge of simple and complex things. Some of the more complex things they learn require them to begin to interpret, understand, appreciate and critique. For example, how does a child learn to distinguish the hero from the villain in a story? Between real and imaginary? How do children first realise the difference in characters from one text to another? When do they first learn that a bear isn’t necessarily just a cuddly friend but a potentially dangerous animal? Let me illustrate this point. 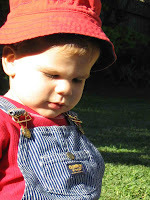 My first grandchild Jacob (who was 15 months old at the time, about the age in the photo below) learned this during a reading of Brenda Parkes simple predictable picture book titled “Who’s in the Shed”. The book has a simple plot. A truck arrives at a farm and an animal is unloaded and placed in a shed. We don’t see what is unloaded but as we turn each page a small part of the animal is revealed through a window. 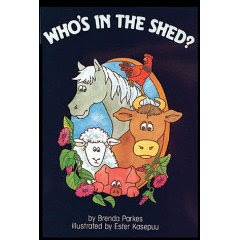 On each page the refrain is “Who’s in the shed?” and a little more is revealed. When the final page is reached the full image of a grizzly brown bear appears behind a barred window. Showing claws and big teeth it is fierce. On the first two readings Jacob’s interest didn’t allow us to reach the end of the story. But by the third reading I growled (loudly and dramatically) as the bear was revealed. Jacob jumped slightly and then said “again”, meaning of course he wanted it read again. On the second reading when the final page was reached and I growled again, he jumped and ran to the door of the room looking back at the picture. The next few visits to our house he would enter my study and move tentatively towards the book (still on a coffee table), open several pages then retreat to a safe distance and make a growling noise. What had Jacob learned? First, that not all bears are cute and cuddly. Second, that books have the power to shift the emotions, to evoke emotional responses. Third, that authors have the habit of revealing their most significant insight near the end of the story. Fourth, that author’s structure and layer their meanings to tell their story. Fifth, that word and pictures have a relationship. Books for many children offer opportunities to consider for the first time major issues such as life and death (see my recent post on this here), pain and suffering, joy and sadness, fear and frustration, truth and falsehood. As children grow older and encounter more and more language, new aspects of the human condition are brought into focus, language devices are discovered, literary devices for plot development and characterisation are observed and understood for the first time. Encounters between readers and texts have great potential to develop reading comprehension and the key is active engagement and discussion between an adult and child, as they encounter books, films, pictures, music, firsthand experiences and so on. Teachers and educators can read a full paper on some of the issues raised above as well as discussion about technology, literacy and the challenges of multimodal texts on my website (here). JACOB is Six today!! Happy birthday Jake. "One of the qualities of a great children's book is usually that it develops a number of significant themes as it tells its story simply and well. The secret of such works is that the development of the theme does not draw attention to itself, nor divert attention from the narrative and its characters." The second theme I want to focus on is death. Literature can helps parents, in particular, to discuss the reality of death with their children. Books that address death can be read with children and by children themselves as a source of insight, comfort and emotional growth. For the preschool child an awareness of death may emerge very early with the death of a family member, or more commonly, through the death of an animal (typically a pet). However, more often the child's first awareness that all living things will one day might be through a book or a film, DVD or television program. As the child grows older the chances of some first-hand experience of death will increase. By the teenage years a close experience with the death of a friend or loved one will be more common, and might well come in tragic circumstances. So death is not a theme to be ignored. In the world of my parents (and maybe even my childhood), the subject of death was much more easily raised. Today, some people seem reluctant to think about death let alone discuss it with their children. I suspect that in western societies that this has something to do with a reduction in the number of people who have a religious faith. For example, families who see themselves as Christians would teach their children that for people, death is not the end, and that there is a way for life to continue after the horror of death (this of course is one of the key messages of The Chronicles of Narnia written by C.S. Lewis). Other faith traditions deal with death in different ways, but deal with it they do. Today, there is a temptation to sweep the discussion of death under the carpet. People who hold to various faith traditions of course would see their religious texts as the foundation for their views on death and how they talk about it to their children; but literature provides every reader, irrespective of their beliefs, with insights into the reality of death and its impact on us as humans. Fantasy has always been an easy way for children to become aware of human frailty. Fairy tales from many different cultural traditions have not been afraid of death as a theme in narrative. Traditional versions of 'Little Red Riding Hood', 'The Three Pigs', 'Jack and Beanstalk', 'The Gingerbread Man', 'The Little Match Girl' and many other tales, all dealt with death in graphic detail. However, today it is common for such tales to be sanitised and death expunged or pushed into the background of the narrative. But traditional fairy tales, myths and legends still offer a rich array of stories that deal with death. In contemporary literature there are also many good examples of books that deal with this important theme. I’ll always love you, Hans Wilhelm – a delightful picture book that tells of the death of a little boy’s dog called Elfie and its impact on him. This would be appropriate for children aged 3-7 years. John Brown, Rose and the Midnight Cat, by Jenny Wagner. This is a bit more obscure but this story works at multiple levels. It tells of an old woman and her faithful dog and a black cat (the 'midnight cat') that visits and threatens to end their relationship. Jenny Wagner says that the black cat symbolises death, though few readers get this immediately. 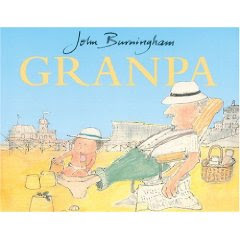 Granpa, by John Burningham - This moving book provides an insight through words and pictures of the relationship between a little girl and her grandfather and the impact of his death on her. Some struggle with the staccato nature of the text (that mirrors the disconnected nature of adult/child conversations) but I believe that this is a wonderful book. Love You Forever, by Robert N. Munsch -- this book tells of the cycle of life as a child grows to be a man and a mother grows to be an old lady; and of course of the relationship between a boy and his mother as they both grow old. Some find it a little unusual but it is an intriguing treatment of the topic from a great children's author (see my earlier Author Focus on Munsch here). Nana Upstairs and Nana Downstairs, by Tomie de Paola - Four-year-old Tommy enjoys his relationship with both his grandmother and great-grandmother, but eventually learns to face their inevitable death. Charlotte’s Web, E.B. White – It’s hard to go past this classic tale of survival, hope, life and death. Even if it has been seen first on DVD it is worth reading with your children. In his masterly tale E.B. White shows through Wilbur (the pig), Fern (the little girl) and Charlotte (the spider) how death is part of life; and yet, how death is not the end. Life goes on. Number the stars, Lois Lowry – This wonderful book tells of the escape of a Danish Jewish family by boat from the Nazis in World War II. It is a novel that touches on numerous themes such as human cruelty, life, death and survival. Sadako and the Thousand Paper Cranes by Eleanor Coerr - this book is based on the true story of an 11-year-old Japanese girl diagnosed with leukaemia as a consequence of the bombing of Hiroshima. Sadako Sasaki was just 2 when the atom bomb was dropped on Hiroshima. The author does not hide the horrors of death providing vivid descriptions of her pain, weakness, sadness, and loneliness. The book also shows the impact on a family of the tragic death of a child. 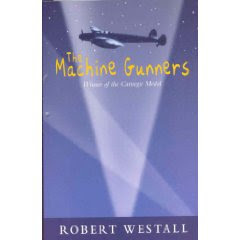 The machine gunners, Robert Westall – This one is for the boys! Guaranteed to interest any boy. The tale of a group of boys living in Britain through the Blitz, their war souvenir collecting, their brushes with death and of lots of moral choices along the way. Death of a Princess, by Susan Geason - When the Pharaoh's beautiful eleven-year-old daughter, Isis, dies under suspicious circumstances, the beautician becomes the prime suspect! This mystery is set in Ancient Egypt during the reign of the mighty Ramesses II. Bridge to Terabithia, by Katherine Paterson - This brilliant book won the Newbery Medal in 1978. It is the story of two lonely children who create a magical forest kingdom. Paterson drew inspiration for the novel from the death of a friend of Paterson's son, who was struck by lightning at a beach. It is the story of fifth grader Jesse Aarons, who befriends his new neighbour Leslie Burke after losing a race to her at school. The touching story ends in tragedy. The purpose of this post wasn't to encourage parents and teachers to suddenly spend lots of time dealing with books on death. My point has been simply to remind readers of this blog that the theme is an important one that is present in many books and should not be avoided. There is also another category of books that have been deliberately written to deal with the topic. I haven't mentioned these books because they are usually chosen when using Bibliotherapy. This hasn't been the purpose of this post although some psychologists use some of the books I've mentioned as part of their clinical work. You can read a little about Bibliotherapy here and here. If you have your own suggestions for good books that deal with death please share them with a comment. I feel unqualified to review this book, but after reviewing 'The Dangerous Book for Boys' (see my previous post here), I thought that in the interests of balance, I'd give it my best shot. I doubt that any adult male can adequately assess just how exciting this book would be for a girl. When I look at the contents page of The Dangerous Book for Boys I want to read every entry, make every thing included, and talk to other guys about it - in short I feel like a kid again. I flick the pages saying, "Wow"! "This is great". "I'd love to try that...". I suspect that girls will react in a similar way when they see the equivalent book for them. 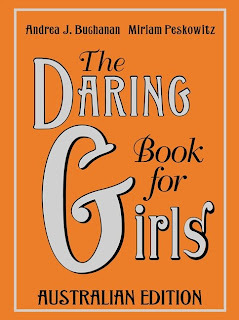 'The Daring Book for Girls' is a companion volume to "The Dangerous Book for Boys." Like its predecessor, it is designed for children aged 7-12 years. It includes a mix of things to make and do, information about things that girls might like to know, biographical material, poetry etc. It has been produced again by Harper Collins and has a similar layout, size and range of contents. Even the cover is similar in design, to build on the success of the previous book. Andrea Buchanan and Miriam Peskowitz have written the book. 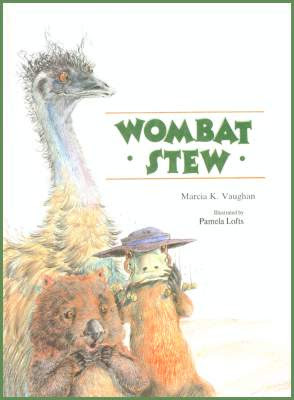 The Australian edition was released in 2008 and mirrors the US edition released by Harper Collins in 2007, but it includes some different Australian content. The 'Daring Book for Girls' has many of the same great qualities as its predecessor for boys. Its format is to present mostly short factual pieces (over two pages) on varied topics with illustrations or pictures. Some have described the book as an "activity manual" but this doesn't incorporate some of the genres represented like poetry, history and biography. In reality, this book and 'The Dangerous Book for Boys', are strongly related to the traditions of the 'Boys Own' (and later 'Girls Own') publications popular for almost 80 years. The ‘Religious Tract Society’ first published ‘Boys Own Paper’ in 1879 to encourage younger children to read and to instil Christian values during their formative years. In the beginning the weekly newspapers were bound together annually and sold as a single volume. The publication went through various stages and stopped production briefly during WW2, but re-emerged as the ‘Boys Own Companion’ (1959-1963), then eventually ‘Boys Own Annual’ was published in 1964-65 and 1975-76. 'The Girls Own Paper' was developed after 'Boys Own' but has a similar history. There is no religious motivation in 'The Daring Book for Girls' and the motivation in developing these books does not appear to have an agenda beyond encouraging girls to get involved doing practical things and learning about their world. This doesn't mean that specific values are not projected but this isn't the intent of the publication. The rules of netball, basketball, field hockey, tenpin bowling and darts. How to whistle with 2 fingers. Going to South East Asia. A biography of Joan of Arc. How to wear fairy wings. A short history of women inventors. Greek and Latin Root Words. Queens of the Ancient World. And lots more! The book has not been without controversy. The last topic listed above has outraged some Indigenous Australians because the Didgeridoo is only ever played male Aboriginal males (read a media report here). This led to a quick apology from the publishers (here) and may lead to a quick reprint. One small criticism I have of the book is that it seems to me (as a male) that the authors have struggled with the delivery of a book that is meant to match the special tastes of girls, when deep down they struggle to admit that there are such differences. The section on "Boys" in this book contrasts strikingly with the section on "Girls" in 'The Dangerous Book for Boys'. Whereas the authors of the latter focus on differences between boys and girls, the authors of this new volume for girls seem unwilling to accept the differences. Its tone is different: "Some girls are led to believe that being liked by boys is important above all else. Some girls are told that boys are different, and that girls should adapt themselves to be like the boys they like.....Some girls are encouraged to think of boys as protectors, or, alternatively, as creatures that need protecting.....some statements are made about girls.....It's easier to think of boys and girls as being entirely different than it is to think about boys and girls as having lots of common ground..." Of course there's truth in the last statement, but there is also a lot of fence sitting going on here. Maybe girls won't sense the gender confusion that seems to be here, or perhaps it's uncertainty on the author's part; perhaps they are aiming to cater for all views. I think the result is that some of the content in this book seems to lack the same level of relevance and excitement for girls that the content in 'The Dangerous Book for Boys' seems to have for boys. Are there really many 7-12 year old girls who would want to know how a car engine works, how to negotiate a salary, or how to execute five karate moves. I know, some girls are interested in this stuff, but surely not many. In spite of this minor quibble, it's a great book that many girls will love. Certainly, the Girl Guide movement in Canada likes the book. It has posted a website in the name of the book designed simply to advertise the book and encourage girls to buy it and read it. In Britain, where the activity manual and its companion volume, The Dangerous Book for Boys, were originally published, both have been bestsellers. In the US, the two books were on the New York Times bestseller list for months. I'd recommend the book for as an ideal addition to any library for children and as a gift for girls who are keen to learn, make things and explore their world. As well as the large format version of the book you can purchase the pocket book version that is more portable and cheaper. Official research reports - these are available from the Australian Institute of Family Studies website (here) and from the Department of Families, Housing, Community Services & Indigenous Affairs (FaHCSIA) here. The study has a broad, multi-disciplinary base, draws on a nationally representative sample of children and addresses a range of research questions about family functioning, health, non-parental child-care and education. Data are being collected over seven years from two cohorts every two years. The first cohort of 5000 children aged less than 12 months in 2003/4 will be followed until they reach 6 to 7 years of age, and the second cohort comprising 5000 children aged 4 years in 2003/4 will be followed until they reach 10 or 11 years of age. Study informants include the child (when of an appropriate age) and their parents, carers and teachers. How well are Australian infants and children aged 4 to 5 years doing? family learning environments and child outcomes. 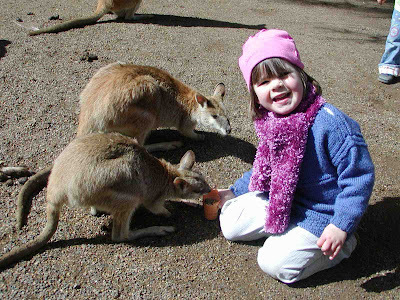 the child has medium to high engagement in out-of-home learning activities with family members. The findings indicated some worrying impacts from excessive television viewing. Children who watched three or more hours of television on week days or five hours or more on the weekend, were more likely to have lower outcome scores in varied categories including physical, social–emotional and learning. The study also concluded that while much of the diversity in knowledge and skills that children bring to school can be linked to social background, the differences in learning and developmental outcomes related to the family learning environment, are apparent irrespective of the social and economic circumstances of the family. This shows the significance of the family learning environment on child outcomes, something that has also been established by other researchers. You can read this section of the report in full here. 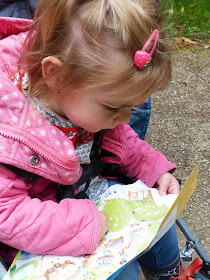 Rich literacy experiences from the start! I am a Professor of Education at The University of Sydney, Australia. I have spent a large part of my adult life as a teacher, academic, researcher and senior university administrator. My interests are varied, including how children learn language and literacy, the nature and construction of meaning, curriculum, pedagogy, and adult learning.